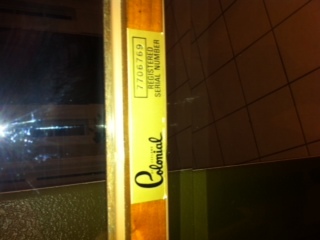 I have a "Colonial" clock, serial no. 7706769. A weight chain has got locked in the up position. Is there a safe way to release the mechanism? 2 chains + 2 weights on my wall clock also stuck but cannot even get pendulum to continue swinging as needs chains to motivate the to and fro. 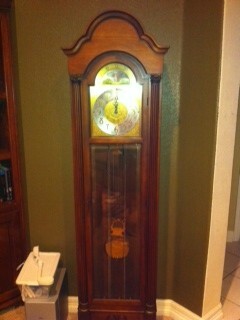 I also have a Colonial Zeeland grandfather clock with both side weights stuck in high position. It was made in the 1970s and I just acquired it. Do you have information on how to fix it. The big middle weight does move. My center weight is stuck up between the movement front and back plate ( to high up to disconnect the weight) is there any way to release this to get it down. When that has happened to me I've just let the pendulum swing. After the clock runs for 5-15 mins. I can pull on the loose chain and support the weight with my other hand and raise the weight. I try to do it smoothly and without stopping, but once I can pull the chain down I can pull in several steps. I don't know if that helps with your situation but I hope so.